The gang discusses opportunities and challenges of dealing with Baby Boomers as they depart the engineering field. Adam is aware of the “retirement cliff,” which describes an impending loss of skilled workers, nearly all of them Baby Boomers, in a short period of time. Americans tend to derive much of their self-identity from their jobs, notes Jeff. This episode focuses on dealing with the loss of crucial information as seasoned engineers retire. Many baby boomers have not saved enough for retirement, and so are deciding to work longer. Georgetown University’s Center on Education and the Workforce published a 2011 study on STEM careers, noting that 10 years after graduation, 46 percent of STEM graduates have left the field. While the clamor for more engineering graduates continues, a number of authorities claim there is no engineering labor shortage. A 2013 article from National Defense Magazine explained that the “engineering shortage” is not a myth, although the engineers who commented on the article seemed to feel otherwise. The concern over retiring baby boomers dates back a while, with a July 2000 article (pdf) from Monthly Labor Review discussing the substantial effects to be felt by U.S. employers. Jeff references a white paper (pdf) from The Integrity Group that discusses the effect of Baby Boomer retirement on the energy industry. Harvard Business Review published a 2014 article examining the costs associated with retiring experts. A Bloomberg article from earlier this year discussed steps taken by defense and aerospace company BAE to prepare for upcoming retirements within their engineering ranks. Paying workers more money can overcome their reluctance to assume jobs they would not otherwise consider, suggests a Twin Cities Pioneer Press article. Jeff notes that many Baby Boomers are in no hurry to leave the job market. Many companies cope with the loss of retiring engineers by hiring them back on a part-time or flex-time basis. An infographic (pdf) from Kelly Services forecasts engineering job growth through 2023. Interested listeners can look up forecasts for engineering employment offered by the U.S. Bureau of Labor Statistics. 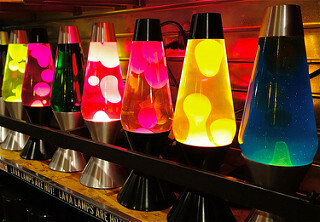 Thanks to Dean Hochman for use of the photo titled “lava lamps.” Opening music by John Trimble, and concluding theme by Paul Stevenson.